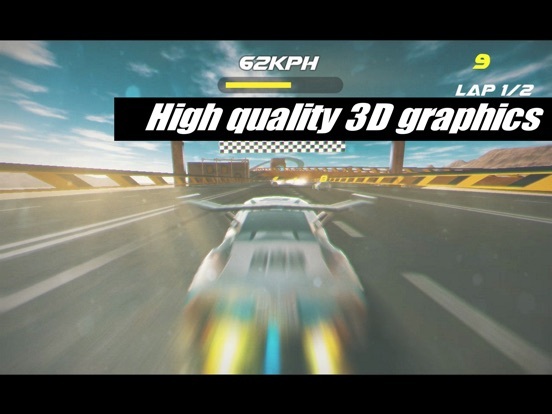 Discussion in 'iPhone and iPad Games' started by ahgame, May 23, 2017.
we are happy to announce that our new racing game Ace Racing Turbo is available on iOS and Android worldwide. 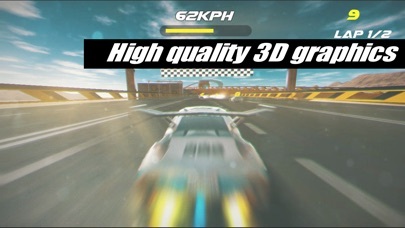 It is a 3d racing game with high quality visuals, you race against 10 other opponants on some crazy tracks to reach top 3, we ve made this game with an arcade style in mind, inspired from other game like Daytona usa and F zero, we try to bring something new that we cannot find on the appstore, collision with other cars are frequent and sensation of speed is prodominant, we create this game for the midcore player that it is challenging enough for them to play. We really hope you ll enjoy the game. any feedbacks, just let us know it here. 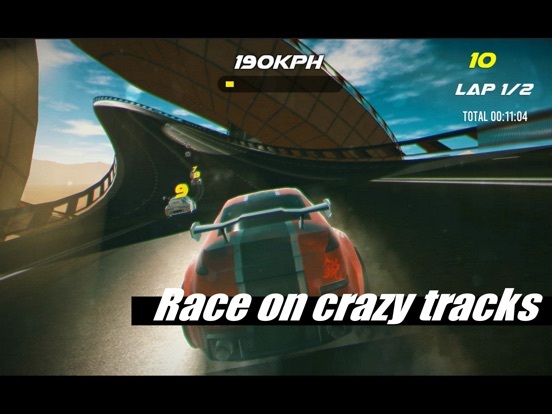 Will give this one a try, would like a good racer! i cant recommend this game, i found it poor in many different areas of the game from handling to the game look. 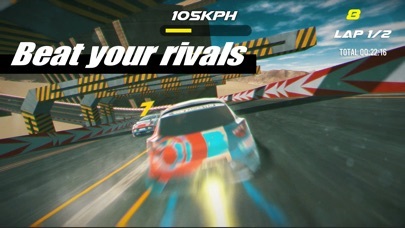 we understand the game has still a long way to go befor making it with what i would call an awesome racing game if you want to compare with what is already existing on the appstore especially looking at game like asphalt or real racing we really don t play on the same category, our studio is way smaller than EA or Gameloft and the team is aware about the monumental task to make such a game, there few guys here who use to play daytona usa and F zero ,when we first talk about creating a racing game theses guys were super excited, looking for some racing arcade game that combine speed and crazy tracks that you can race against many opponants, sound good on the paper and soon we realize that there were so many area we need to focus/adjust/fix/balance etc , that can have can be out of control sometime, we have all the difficulty to find the right balance between speed , grip, weight of the vehicles, physics adjustement, tweak of the track that not a normal car could even drive in... try fit all these ai behavior on these extreme uphill downhill tracks was a nightmare, and i m not even talking about deadline, for the UI we can t fire the artist who work on it as it was the same who design the tracks level, he spend little time on the design of the buttons and interface, but most of the time on designing the tracks. we know there still a long way to go, but we wanted to make a fun arcade game that poeple can play 5 mn on the bus without all the fuzz and grind of free to play model.Press start, select your track, play. We are already working on some update, we would love to hear from you on thing you would like to see, improve etc. 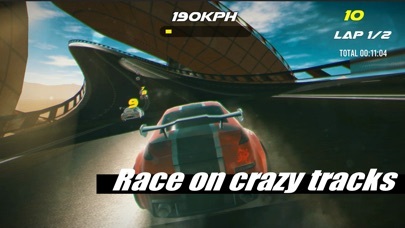 anyhow we realize this game is not really for casual gamer, so we might rethink our way to make a racing game. Bland menus, awful soundtrack and poor controls. Some nice graphics effects, but nothing here that compels me to play. Hi MajesticLobster, thanks for your feedbacks, could you be more specific? wich car have you used? we are aware some tracks can be very challenging to drive on, thing is we could have design our track very flat, car handling woulld have much much more easyer even at high speed. we have a bunch of player wich kind of master the behavior of each car and drive fine on even some of the most crazy tracks, but again we are aware it might not be easy especially if you start. we have to admit the game work much much better with a bluetooth controller, so if you have one please give it a go. Anyone has try an mfi controller ? Please let us know if that work for you. It should work right of the box. Insanely laggy, bad physics, bad graphics, bad menus, bad sound, bad everything. You should have kept it in soft launch for a few months, not just 2 weeks. The only thing I like are the animation for nytro. This game is unplayable. I don't want to be mean... but I can't lie. 1. Lower the graphics and optimise the game. 2.Improve the racing physics. They don't need to be realistic, they need to be fun. 3.rework all the menus. Feels very cheap. 4. Improve the sound. Feels like I'm listening to something through a can. 6. Worst camera angle ever, at least for my taste. If nothing else, there should be several. I really appreciate that the developer is active here, and I understand that almost no game is perfect on launch. But this one really feels way too rough for prime time. With a major overhaul it could become promising though. "Insanely laggy," we try to optimise the game for many different devices while delivering the maximum graphics that a smarphone can handle, so far we didn t have much complain in term of performance, there more than a 1000 different devices on android we put an auto quality setup based on the spec of the devices, if it s too laggy you can change your setup from High quality to Low on the pause menu. wich device are you using? on ios you shouldn t have lags "normaly". 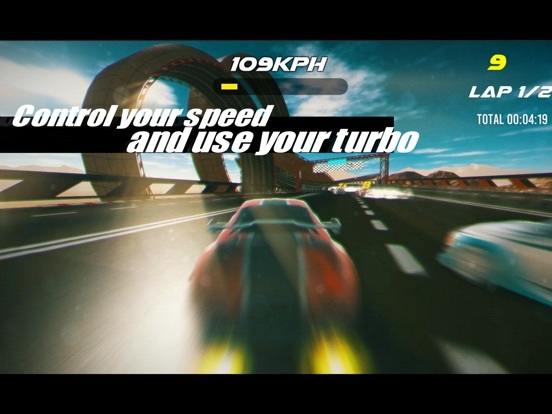 "Improve the racing physics. They don't need to be realistic, they need to be fun." at the middle of the developement we notice we will have some issue with the physics being too realistic and less arcady, especially on the nature of the tracks , that would tend to be less fun, but it was too late due to our deadline to change the whole things, so we try as much as we can to make it enjoyable with the physics we have, we have lot of players who manage to unlock all the tracks and finish the game, some are not even 10 years old!!! "rework all the menus. Feels very cheap" we wanted to be simple and minimalist at first, we are currently reworking the UI to look less "cheap", maybe you can provide a screenshot of what could be a perfect menu/button for our game. 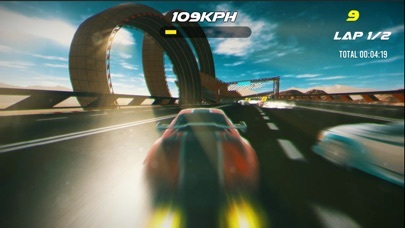 all in all thanks for your feedbacks , we ve been working really hard to bring you this game as it stand right now, we expect to continue improving it, for few more years who knows how it could look, there few old racing game out there still been update today after their initial release, we hope it can be a good start for us and keep on doing what we think it s cool. HI, about cameras it s on the roadmap, we are planning to add different cameras on the next update, including few other tweak! I really appreciate that the developer is active here"
I noticed there is an update to the game and it now has three camera modes. That was one of my major gripes before, now it's much better. Apparently it does not remember the camera setting over races. Can you please change that so I only have to chose once? In any way, it's much more playable for me now. 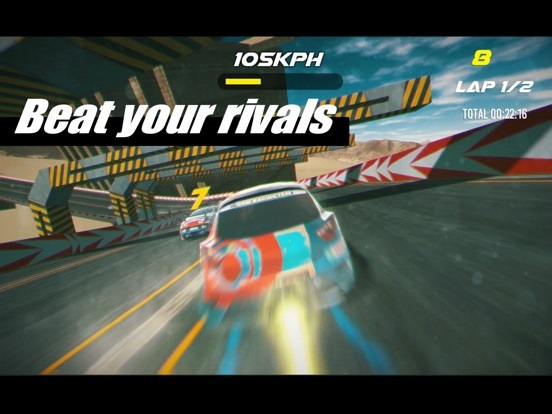 Hi Redthumb, yes we just release an update 1.3 , with 3 cars to start with, they all have different style of driving, first and third person camera view is include from the feedback we got from you guys, now it s much easier to see the road and the opponent , and few graphic improvement, with bluetooth controller support. Go and try it out!!!! Don t forget to like and let us a nice review for supporting our hard work , it will really help us to continue improving this game. we are working on our next update to improve our UI , right now it feel it need some more love, if you guys got some suggestions or screenshots to share of some cool UI that fit our game feel free to do so. Forza got some pretty neat UI, we really like the Art direction they took, what you guys think?